In the tradition of Schulz and Peanuts, a biography of Krazy Kat creator George Herriman that explores the turbulent time and place from which he emerged—and the deep secret he explored through his art. ...[an] engaging, revealing biography ... 72 years after his death Herriman and Krazy Kat are a footnote in our popular culture. Tisserand's book just might change that by bringing back into the conversation not only Herriman's remarkable artistic creation but his extraordinary, very American life story ... As befits its subject, Krazy is a gorgeously designed book. It incorporates not only dozens of Herriman's cartoons (Krazy Kat and many others) but elements in page design and numbering that reflect his style ... Whether you're a longtime Krazy Kat fan, as I am, or a new acquaintance, this biography will enrich your knowledge of the Kat and its creator. ...skillfully returns context to Krazy Kat, revealing that it could have come from no other time or place than during the accelerated rise of the American media empire ... Beyond social niceties and a bit of scatology, however, his letters (transcribed here, perhaps more for scholars than the general reader) leave little evidence behind of whatever deeper matters drove him ... Still, Tisserand’s work is impressive. His seating of Herriman’s achievements among other battling art forms of the time is essential for understanding comics history. 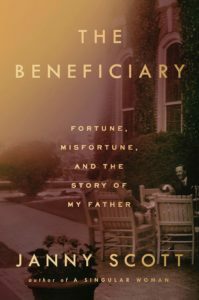 ...a splendid, sympathetic full-length biography ... Tisserand tracks Herriman from project to project, giving readers a surprisingly exciting picture of a talent steadily maturing ... The free-flowing nature of that work is a difficult thing to capture in prose, and this biographer surely does it about as well as it can be done, taking readers inside the constantly-shifting landscapes of Herriman's work at its peak ... Tisserand has now given readers a wonderful companion volume to that iconic artwork. 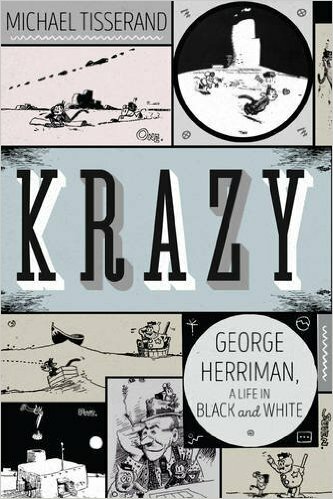 What did you think of Krazy: George Herriman, a Life in Black and White?